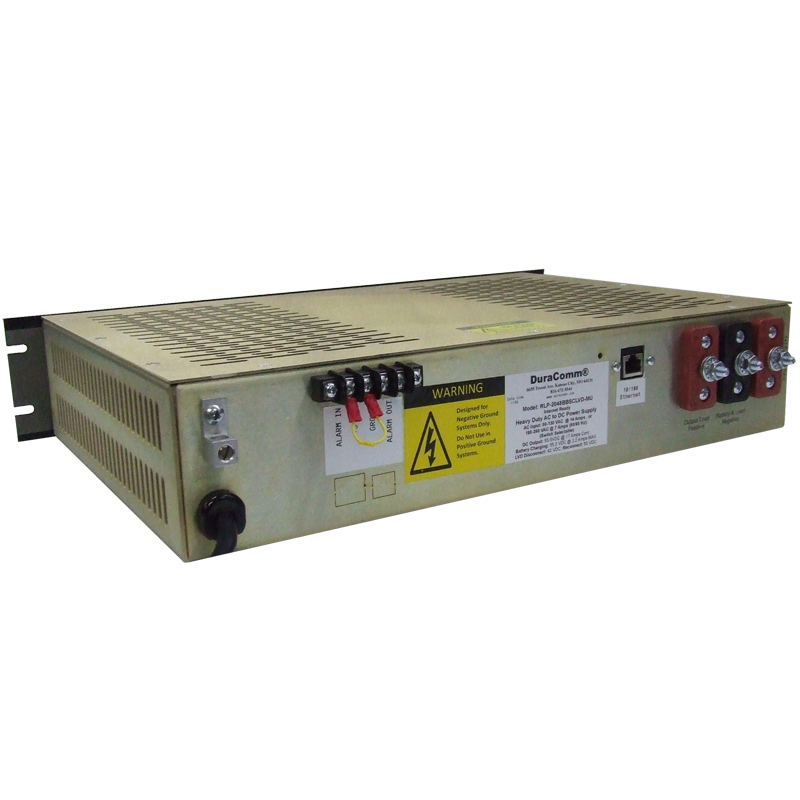 The RLP-4024-BBSCLVD-MU is a Heavy Duty AC to DC Power Supply with smart charger that is web ready for remote monitoring and control. The new internal Remote Monitoring and Control Unit (RMCU), provides the ability to remotely monitor the AC voltage, battery voltage, power supply voltage for each module, power supply current for each module, battery current, LVD status, external alarm status, as well as the ability to remotely control the state of each power supply module, all via the internet using any standard web browser. A mobile friendly version of the status page is included, and an alarm output is also provided. 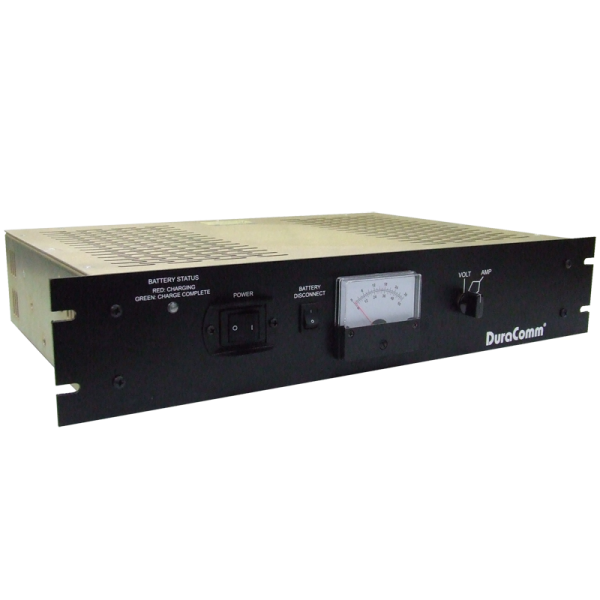 Users that have access to the network can view the status of the power supply, control outputs, and the alarm conditions, as well as download a .CSV file of logged states. Administrative users can access the setup screens and change the control settings by logging into the RLP-4024-BBSCLVD-MU via the browser. Alarm conditions are configurable, and can include over and under thresholds and discreet logical inputs. Notifications via email can also be configured to notify an administrator. Setups are saved in nonvolatile RAM, and a battery backed up real-time clock is provided to timestamp information logged to the internal SD card. Logging rate is user settable. 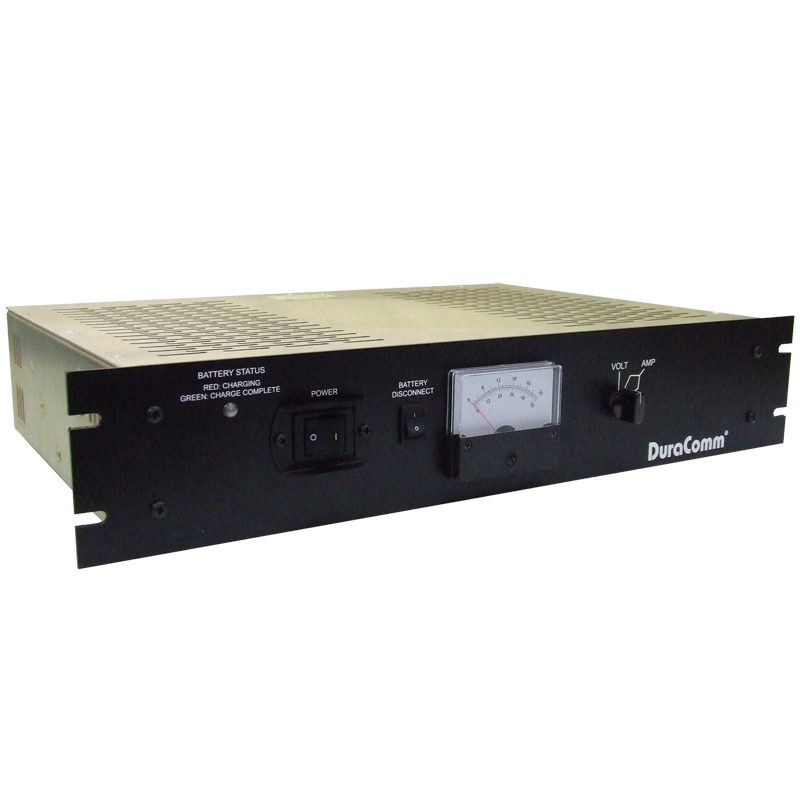 The RLP-4024-BBSCLVD-MU comes with the DuraComm three-year warranty.